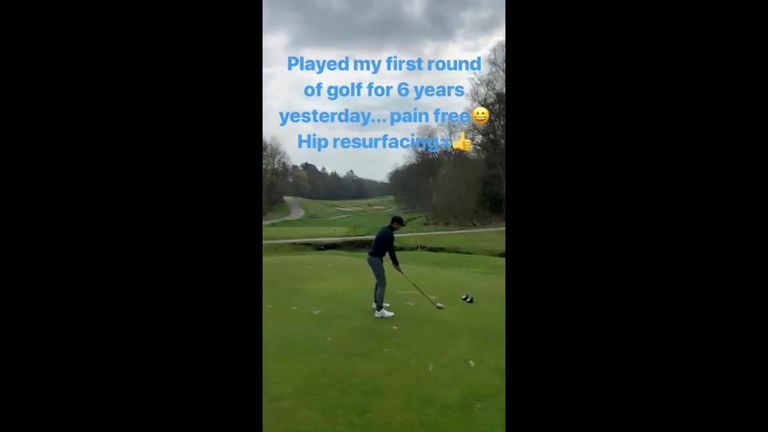 The 31-year-old shared a clip on his Instagram Story of him playing golf accompanied by the message: "Played my first round of golf for 6 years yesterday...pain free. Hip resurfacing = (thumbs up)"
He has previously shared a short clip on his Instagram story of him hitting forehands and backhands against a wall, with the caption "It's a start". Andy's brother Jamie recently joined The 2 Barrys Tennis Takeaway Podcast where he discussed Andy's rehabilitation, saying he was "cautiously optimistic" of making a comeback.